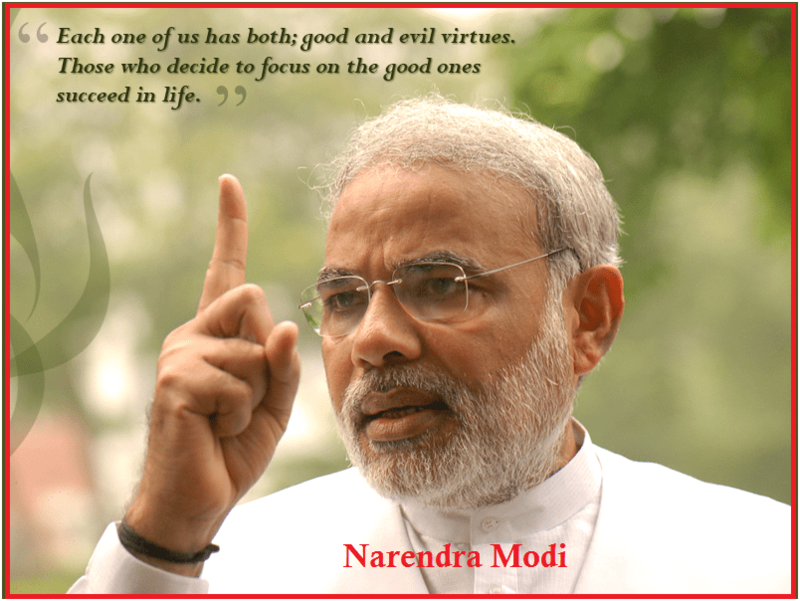 Top 10 Quotes on Narendra Modi:- Narendra Modi is the 14th Prime Minister of India. 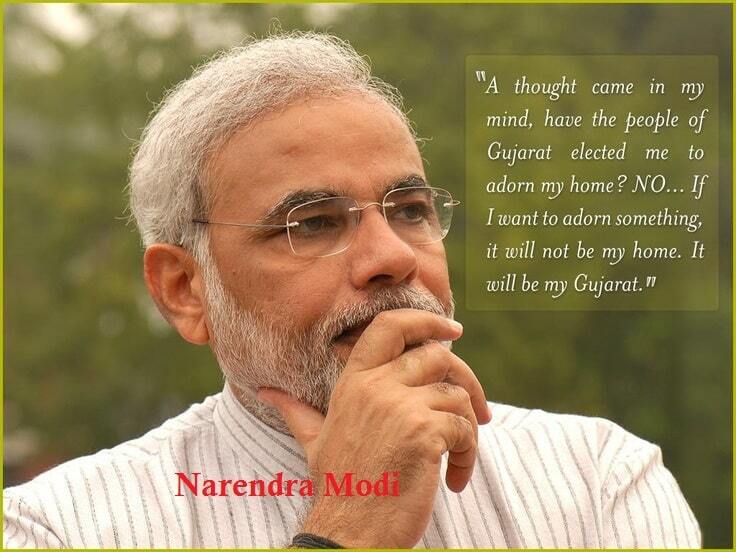 Born in a poor family in Mehsana, he sold tea in trains as a boy. He joined the Rashtriya Swayamsevak Sangh and became a Pracharak. He entered the BJP in 1987 and became the national secretary of the party in 1998. He has over the years helped the party strategize. 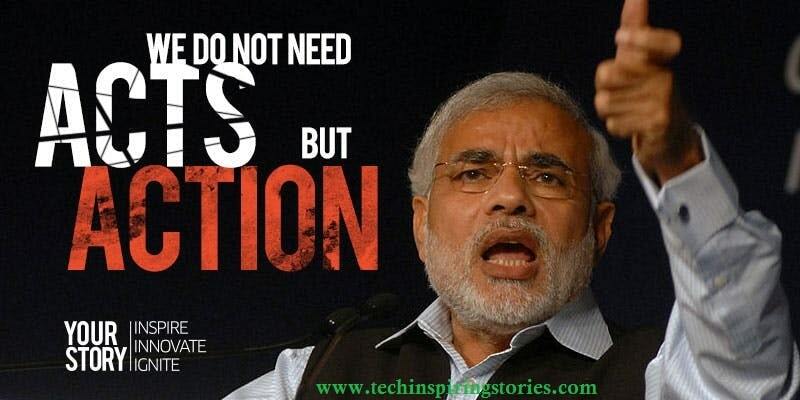 Modi helped his father sell tea as a child and later ran his own stall. He was introduced to the RSS at the age of eight, beginning a long association with the organization. He left home after graduating from school, partly because of an arranged marriage which he rejected. Modi traveled around India for two years and visited a number of religious centers. 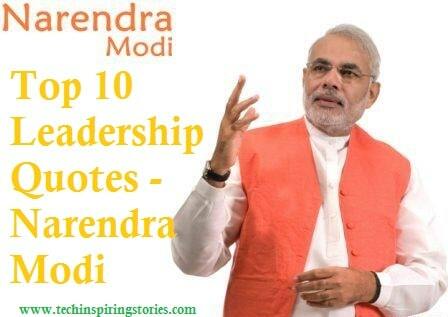 Here are 10 Powerful Quotes from Narendra Modi which will kindle the fire of leadership in you!